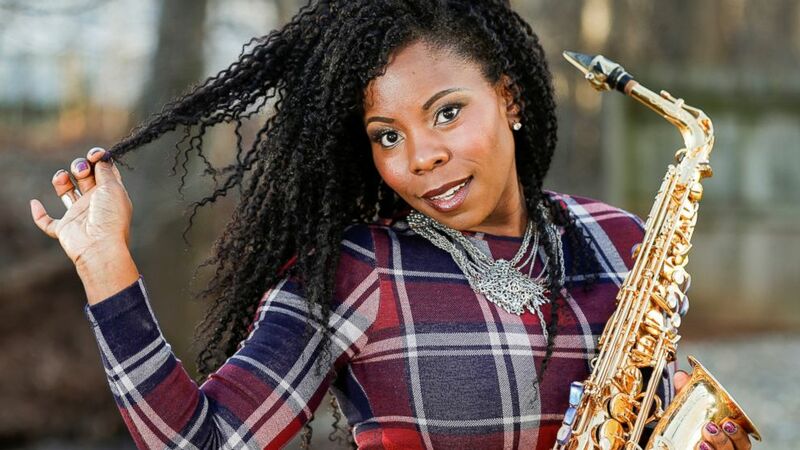 She'd just received the news that she was nominated for her first-ever Grammy Award — but it's not just any nomination: Her inclusion in the best jazz instrumental album category is a historic moment for women because they have rarely been nominated for the coveted award throughout the Grammys' 61-year history. The 42-year-old, who was born and raised in Aurora, Colorado, has followed in the footsteps of her parents, who are also musicians and educators. Fuller first started playing the piano at three, then moved on to the flute. But once her grandfather handed her a saxophone, she was hooked. "I was in the upper level of my parent's house, like the loft. I just remember how it reverberated throughout the house. I was like, 'Oh this is way better than flute, I can be loud.'"